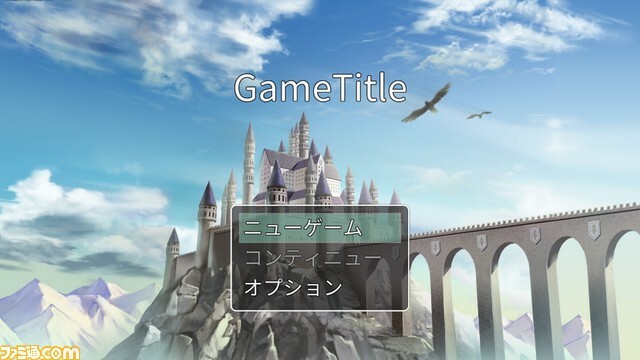 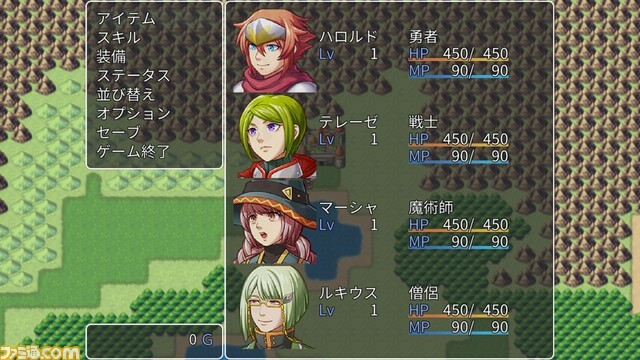 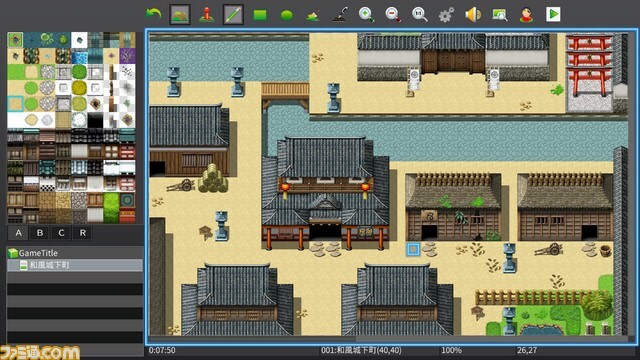 In advance of the game’s launch in Japan on November 15th, Kadokawa Games has put out a fresh batch of screens from the upcoming release of RPG Maker MV. 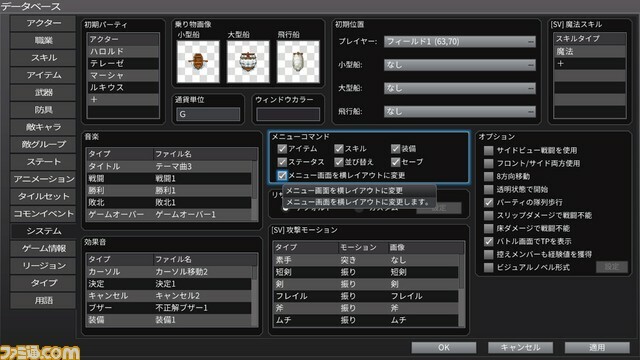 The screenshots give prospective RPG builders a bit more insight into the options that they will have available to themselves in the game. 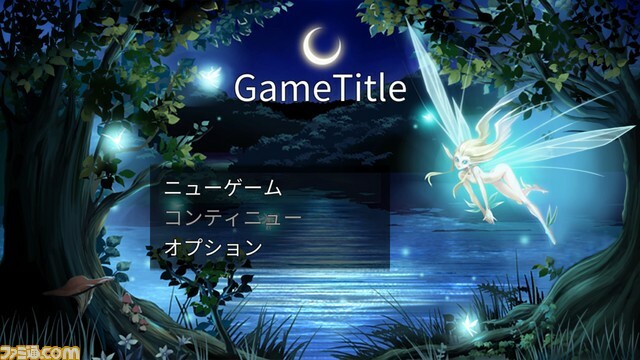 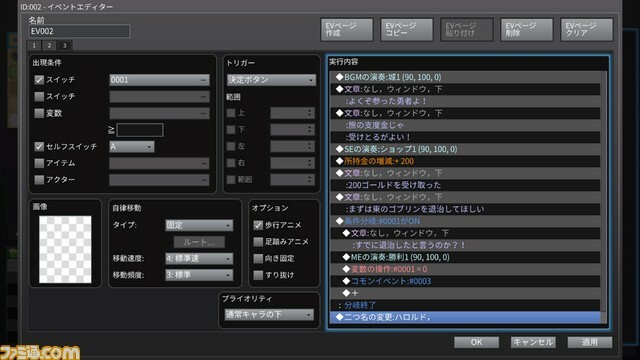 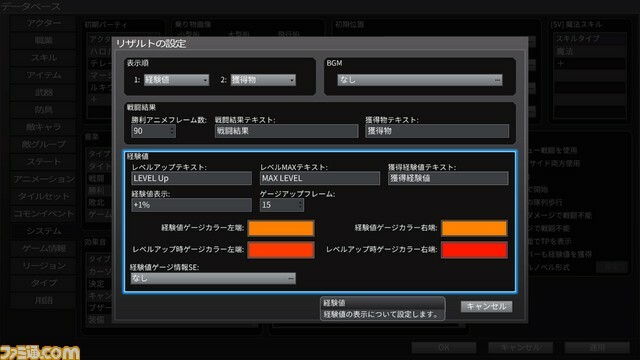 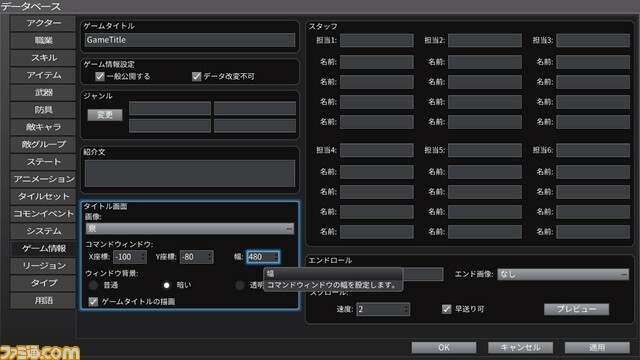 These include various editing tools and settings for menus, in-game events, results screens, and title screens. 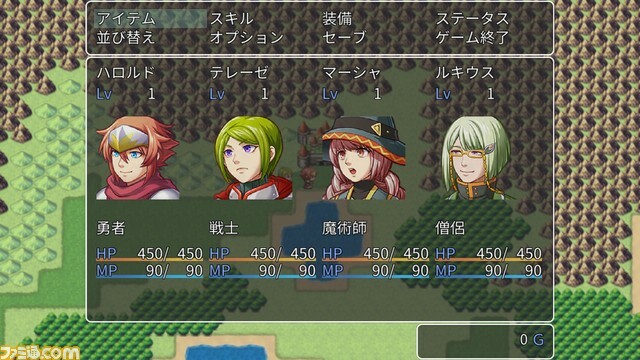 Check out the demonstrations in the gallery below.